(BEDFORD) - A Mitchell woman was rushed to the hospital from the Lawrence County Jail after being booked. According to Lawrence County Sheriff's Department Chief Deputy Aaron Shoults, 41-year-old Barbara Brown was arrested after dispatch received a complaint of an erratic driver at 4:33 p.m. from the 7950 block of State Road 37. The caller reported a driver in a green Jeep Grand Cherokee had hit a blue Dodge Dakota. 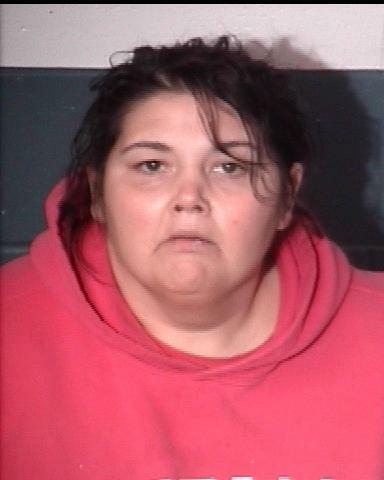 When deputies arrived they made contact with Brown and determined her driving ability was impaired and she was arrested on charges of operating a vehicle while intoxicated endangerment, OWI under a controlled substance, and driving while her driver's license suspended with a prior conviction. "Approximately one hour after arriving at the jail, staff noticed that Brown's condition had degraded based upon what her condition was when she arrived at the jail," Chief Deputy Shoults says. "An ambulance was immediately called and Brown was transported to IU Health Bedford for treatment."